All who attended a previous year’s memorial tournament. Hank Clinton may have passed away in May of 1990, but his legacy lives on. Clinton, who was the basketball coach at St. Gabriel School from 1963 to 1988, celebrated 625 victories throughout his tenure. 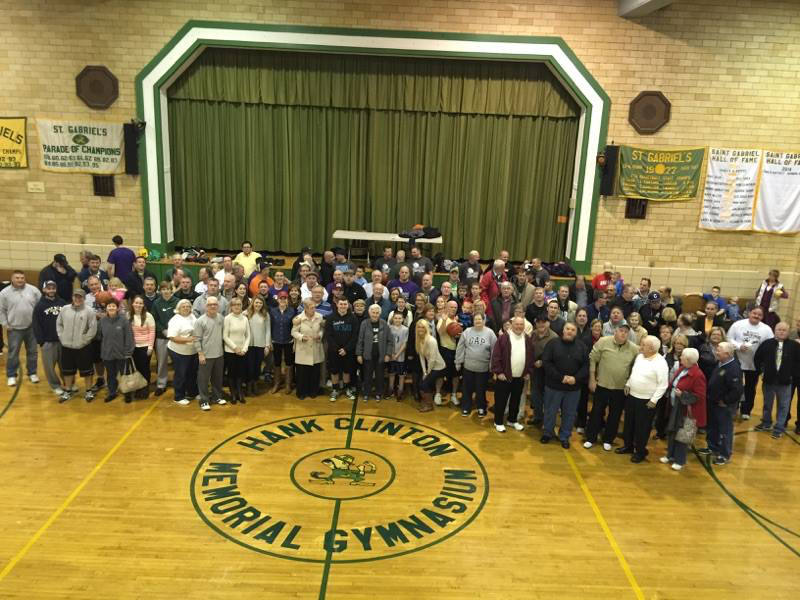 Today, he has a basketball tournament named after him, the Hank Clinton Memorial Tournament. The earliest years of the tournament were the most competitive. Graduating classes would play each other on a Friday night and the tournament would go on until the wee hours of Saturday morning. At the end, a winner would be crowned in a true tournament style. As people grew older, they wanted to preserve the tradition, but weren’t willing to stay out all night. As a result, the tournament took shape into its current iteration, which is a bit friendlier and less competitive than it used to be. At this year’s tournament, which will take place on Saturday, Nov. 24, from 9–5 (the event always takes place the Saturday after Thanksgiving), 11 games are scheduled in the gymnasium of St. Gabe’s every 45 minutes. Unlike the early years where teams consisted solely of graduating classes from St. Gabe’s, its been expanded to include people in other parishes across South Philly, including St. Charles, St. Monica’s and St. Nick’s. Entrance into the event is free, but donations are accepted at the game. All proceeds go towards the upkeep and maintenance of the gym. St. Gabriel School is located at 2917 Dickinson St. in Grays Ferry.